has successfully completed the ‘Cloudera Certified Associate for Spark and Hadoop Developer‘ (CCA175) certification using CloudxLab for hands-on practice. Having completed the certification, Senthil Ramesh who is currently working with Accenture, gladly discussed his experience with us. CxL: How did CloudxLab help you with the Cloudera certification and help you learn Big Data overall? 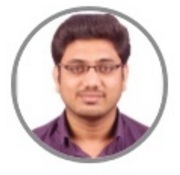 Senthil: CloudxLab played an important part in the hands on experience for my big data learning. As soon as I understood that my laptop may not be able to support all the tools necessary to work towards the certification, I started looking for a cloud based solution and found CloudxLab. The sign up was easy and everything was setup in a short time. I must say, without doing hands on it would have been harder to crack the certification. Thanks to CloudxLab for that. CxL: Why CloudxLab and not a Virtual Machine? Senthil: I have a laptop with 4 GB of RAM and the most I will be able to upgrade will be 8 GB RAM. In order to run the VM (Virtual Machine), it is expected to at least have 8 GB RAM. But I didn’t have enough time for purchasing RAM and then installing tools to get started with a simple pyspark program. Hence the cloud based solutions are a good alternative. It reduces my time to install stuff and I can start learning right away. CxL: CloudxLab has the Hortonworks data platform whereas your certification is in Cloudera. How did you bridge the gap? Senthil: I didn’t feel much of a difference. Of course, Cloudera and Hortonworks have their home directory, apps installation and user directories in different paths. But I got most of them easily covered by watching the videos provided by CloudxLab. They have videos explaining how to get started with their environment, and you should also logically remember how this must be applied in Cloudera machines and it will be easier then. CxL: What would your advice to others planning to learn Big Data and complete Cloudera certification be? Senthil: No matter how much you read, hands on is a must. At the same time, not everyone will have the resources and time to install all the tools required. You can learn to install them for your knowledge and work purposes but in order to give the certification your best, concentrate more on learning than installing. CxL: How was the support provided by CloudxLab? Senthil: Support was good. I had some queries at the start and I got prompt answers and help. Even the live chat was good. They helped me a couple of times. I recommended the service to a few. By the way, I must also mention the availability of tools in the environment and the frequent addition. I am happy that Jupyter Notebook has also been added. Thanks for the support. We wish Senthil the very best!